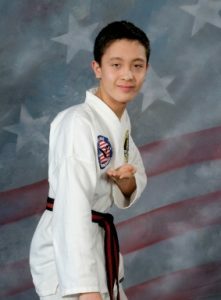 Mr. Walker Owens began studying taekwondo with Mr. Weislogel in the fall of 2014. Mr. Owens started helping with classes in the fall of 2016. He became a 1st Degree Decided Black Belt in the spring of 2017 and less than 1 month later earned his Level 1 Instructor Certification. Mr. Owens helps with 1-2 classes per week at Village Taekwondo.